Hey, there sports fans! 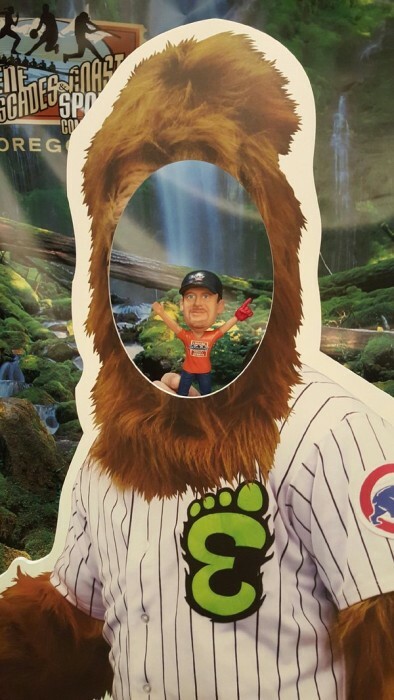 In January I had the craziest opportunity to travel with the Eugene Emeralds and Joey Jewell from Eugene, Cascades & Coast to Chicago to the annual Cubs Convention. And boy did we have a blast! The Chicago Cubs Convention is this awesome event where all the Chicago Cubs fans get together to celebrate, what else, the Cubs. 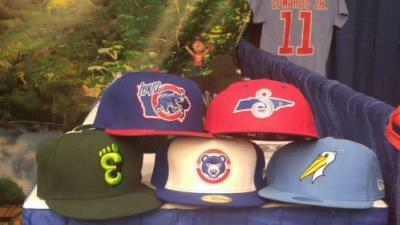 This includes all the Chicago Cubs affiliates, like the Eugene Ems. I got to meet some pretty cool people from the Iowa Cubs, Tennessee Smokies, Myrtle Beach Pelicans and South Bend Cubs teams. It was non-stop action from the moment we arrived. Now, a trip to Chicago wouldn&apos;t be complete without some deep dish pizza and Garrett&apos;s popcorn. Don&apos;t worry I checked those off my list! 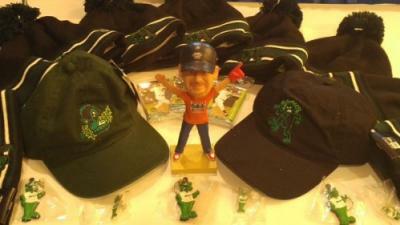 Here I am at the Eugene Emeralds booth. We were in the same room as all the Chicago Cubs affiliates and got to meet Cubs fans from all over the US! One of them thought I was former Cubs player Ryan Dempster but I was quick to say "thanks for the compliment but nope I&apos;m Champ from Eugene, Oregon!" I also got to meet Tom Ricketts the Chicago Cubs Board Chairman. My favorite part was seeing all the other teams in the Chicago Cubs family. The Myrtle Beach Pelicans had an awesome sand carving, so I tried to play in the sand. They weren&apos;t too happy about that. I got to talk to a lot of the fans and tell them how awesome the Eugene, Cascades & Coast region is! They&apos;ve all booked their trips! I even chanced a photo with Sasquatch before he disappeared back into the woods! He was pretty cool, I mean he was even wearing an Ems jersey so how bad could he be? I had so much fun in the Windy City but I&apos;m glad to be back home. 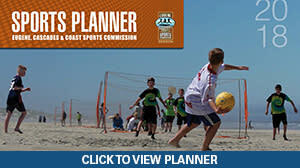 There&apos;s so many sports events here in the Eugene, Cascades & Coast region to keep me occupied year round! What are you most excited for? Baseball season, more hockey, basketball? Or are you waiting for track & field? Don&apos;t forget to tweet me at @EugeneSports #Champ!